LVPV has been the recipient of local and national grants. These grants are distributed among the affiliate members. 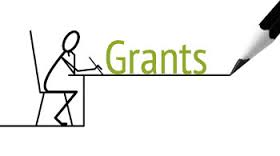 Below is a listing of recent LVPV grants. 2014-2015 National Book Fund Grant: Provided $1,000 for tutor training materials. 2012-2013 Dollar General Grant: Funded three 10-week sessions of ESL Class Instruction led by a professional ESL teacher at three member libraries. These classes were open to students from all of the member libraries. 2011-2012 Dollar General Grant: Received funds for training 66 tutors, distributed funds across membership. 2009-2010 Dollar General Grant: Received funds for training tutors, each member library received $50.00 back for each tutor trained. $4,100.00 was distributed to participating libraries. 2008-2009 Dollar General Grant: Received funds for training tutors, each member library received $50.00 for each tutor trained. $3,950.00 was distributed to participating libraries. 2008 Department of Education Grant. Provided $300.00 to each member library for ESL materials. Also funded $24.00 for each student matched with a tutor, $7,656.00 was distributed in total. 2007-2008 Department of Labor grant to Literacy Volunteers NJ was passed on to LVPV member libraries to fund ESL/ABR tutor training: LVPV conducted training and registered 66 new tutors. $50.00 was provided for each new tutor and $3,300.00 was distributed to participating member libraries.